Economic madness:: way to go Sir David Attenborough! ‎"Anyone who believes in indefinite growth on a physically finite planet is either mad, or an economist." It should be apparent, to any educated person, that Classical economics has no place in the real – dynamic, non-linear, inter-connected – world of finite resources. Accept that now so we can prevent even bigger gambles that could accompany the advent of Big data: more data isn’t the issue but less prediction and better analysis are! Read on: Classical Economics or Complexity Economics? I’ve never met the man but I like the cut of his jib. Perhaps it is the novelty of someone in high (financial) office admitting what his peers feel they cannot…even though, with brief explanation, a child could differentiate good guys from bad! Lord Adair Turner, the outgoing chairman of the Financial Services Authority and a candidate for Bank of England governor, said last night the FSA had spent its first eight years in a “fool’s paradise” of delusion about financial risk. via FSA was in fool’s paradise, admits Turner | Herald Scotland. So the problem is pretty well framed and, dare I say, understood. 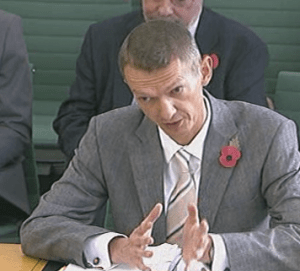 But WHO IS PREPARED TO LISTEN TO POTENTIAL SOLUTIONS OF THE VARIETY ADVOCATED ANDY HALDANE AT BY BANK OF ENGLAND? My admiration for Andy Haldane‘s “thought leadership” grows with every paper, article, presentation or speech…he isn’t misled by symptoms because he understands what lies at the root of our global financial “difficulties”. After all, if a Director of the B of E is going to publish a paper on systemic risk, with a Professor of Zoology you would need to make sure you were on pretty solid ground, OR accept that the men in white coats could come to take you away at any time!! !